What's that on your mug? Employee of the Month? The logo of whatever you had bought that had been giving it out for free? Or maybe it's a plain, safe color like blue. Boring! What if you could have a picture of your partner? Your children? Put down the lethargy-inducing mugs, it's time for a change. Heart Beat.my, as their name suggests, wants to make you mugs with pictures that will literally make your heart pound, and we will solemnly swear that it isn't due to the caffeine. 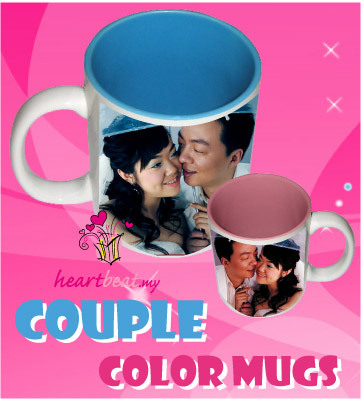 Both color mugs can be added with your own photo & message.